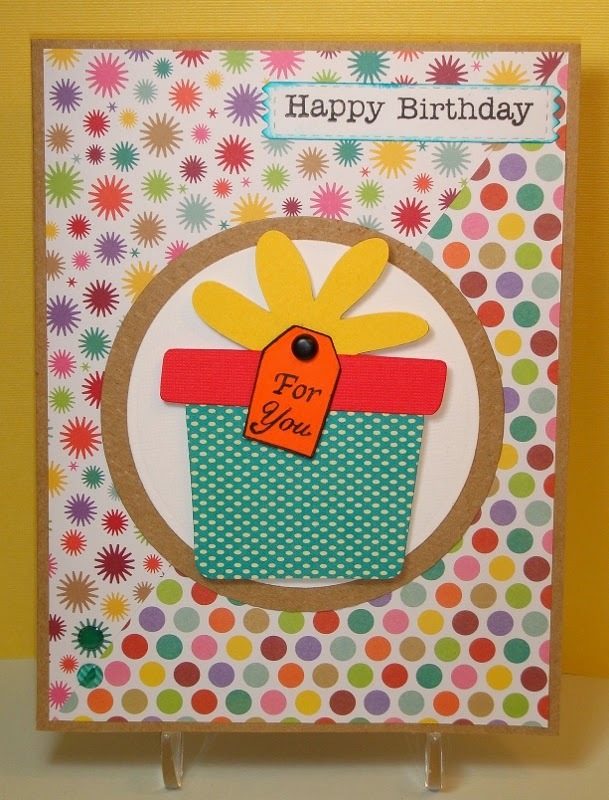 I used 2 different patterned papers from the Recollections Bold Basics paper pad on top of a Kraft card. My Spellbinders dies cut the circles for the center, and the present is from Cricut Doodlecharms cartridge. MCT banner die for the sentiment. We hope you'll join in the challenge this week and share your card, layout or project following the sketch shown above. 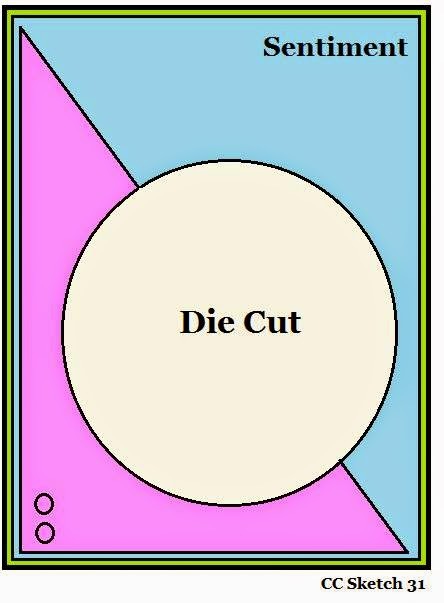 Please be sure to use a diecut and link your post back to the DCD blog. Very pretty card!! Love the bright colors!! Have a great day. Very pretty! I think I know what I am going to make with this sketch thanks hun! Fab & Fun! Great job! Awesome card! I love the pattern papers and the present is adorable! Great birthday card! Love this card. Great image. I really need to check out that Doodlecharms cart again. There are tons of great images on that one. You've made an awesome card with that one. Have a fabulous and crafty day!